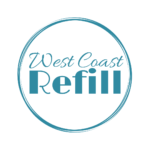 West Coast Refill came about from a desire to be more than just “a drop in the bucket.” We wanted to have a greater impact on environmental issues by making it easier for those around us to reduce their consumption of single-use plastics. 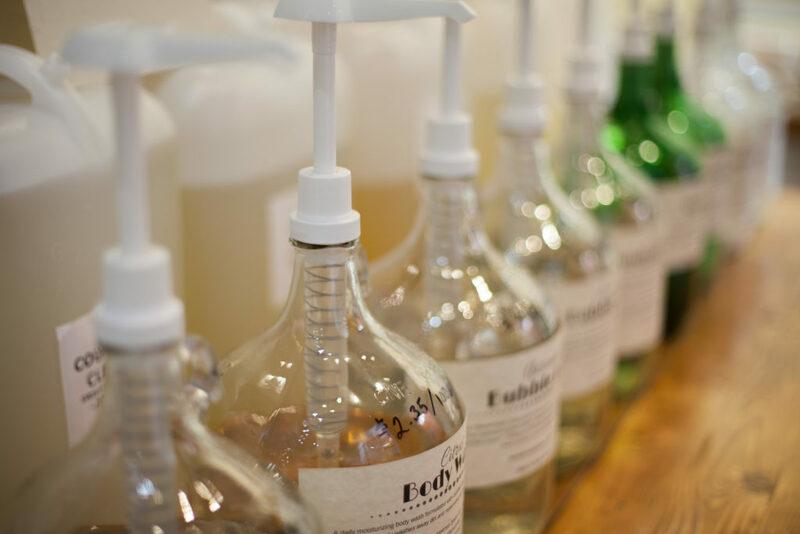 At home, we live very “green.” My husband, Chris, and I grow a lot of our own food, compost, collect rainwater, hang our laundry to dry, we avoid single-use plastics, I was even making our own bar soap and laundry detergents. We were stressed by the ever-increasing climate concerns and overflowing landfills. We were frustrated at feeling helpless by our own actions having such a small impact to slow climate change. We wanted to help others reduce their own environmental footprint without it being difficult or inconvenient. 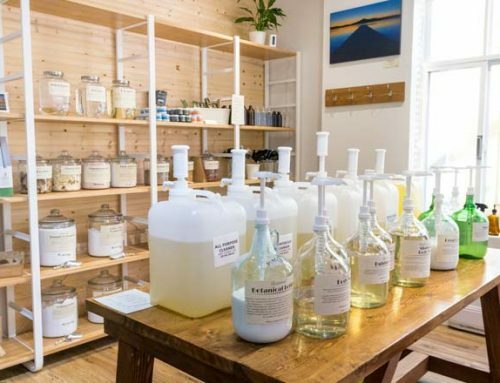 Maybe even save them some money by making it easy to shop for necessities while producing the very minimal amount of waste in their every day lives. 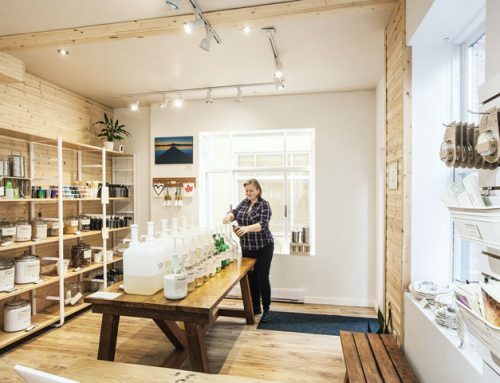 Inspired by the Zero Waste movement, we decided to open our own shop focusing on bulk, refillable and environmentally friendly products for your home and body. 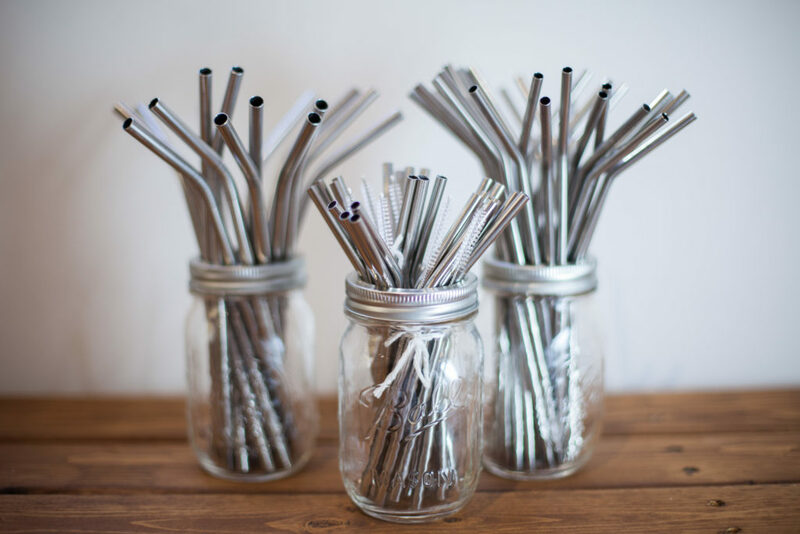 We wanted to teach people how easy it is to reduce the amount of waste they create. How to reuse what they may already have. 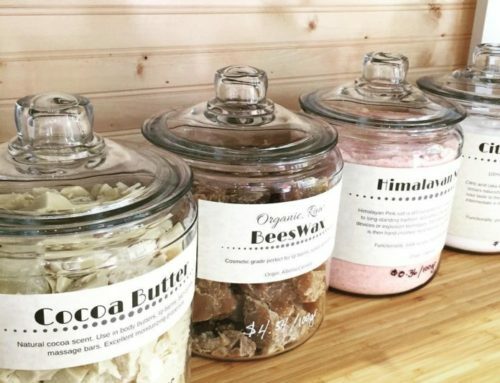 How to rethink their everyday purchases, activities, and habits. 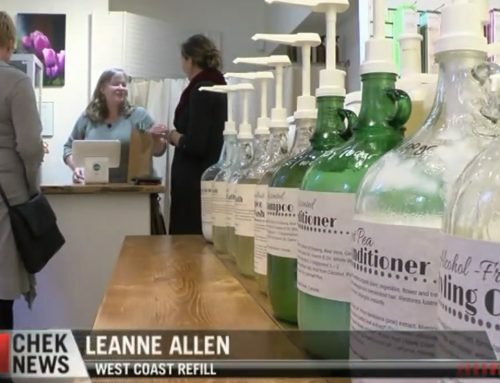 How to save money and the environment by shopping bulk and refill bottles and containers instead of tossing the old packaging and replacing it with a brand new one each time they run out of dish soap or hair gel. 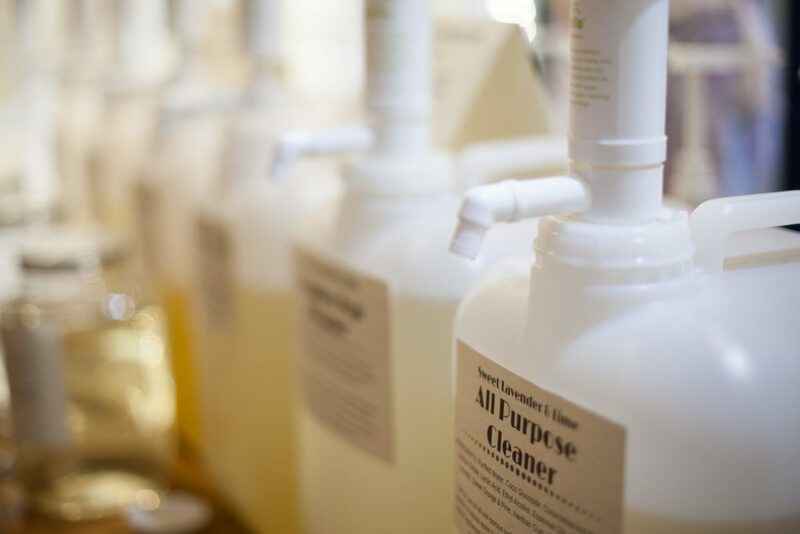 We searched for bulk products that were made in Canada by companies that had strong reputations for being environmentally responsible, who used natural plant-based ingredients but never synthetic foaming agents, parabens or fragrances. 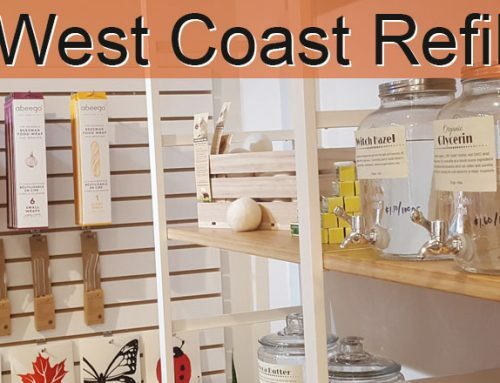 We have brought in products by Sapadilla Soap Co. Abeego, Carina Organics, Enviro Glass Straws, and Nelson’s Naturals Toothpaste just to name a few. 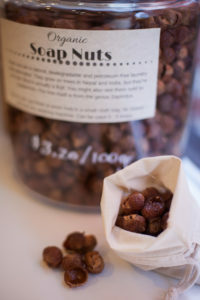 When setting up the shop we tried to keep it as environmentally friendly and low waste as possible. My husband built the sales counter, display table and benches from reclaimed and salvaged wood. We found glass dispensers, storage jars, a display cabinet and even a cash drawer all second hand. We don’t print sales receipts; instead, customers can receive them via email. We have hardly any printed material but a growing social media following and several positive reviews both on Google and Facebook which have helped to spread the word of our shop. 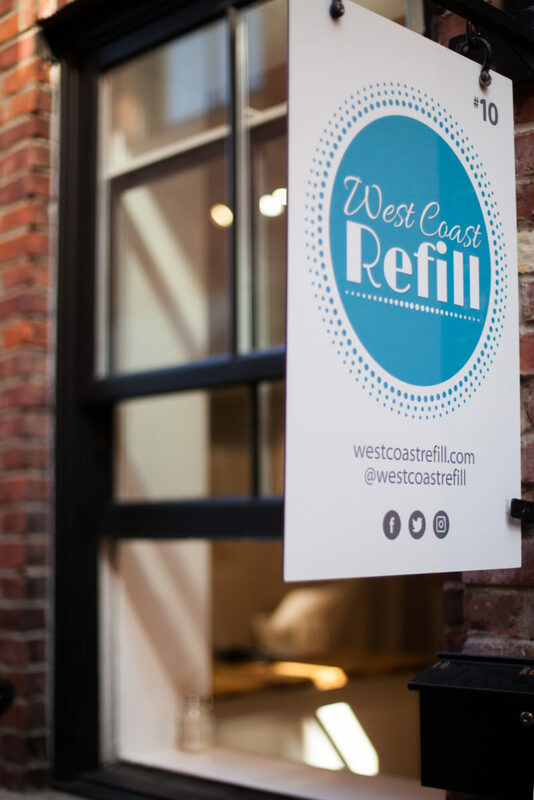 Our little shop is a bit hidden away in Dragon Alley running between Fisgard and Herald Streets in Victoria’s Chinatown, but already, after only two months open, we have developed a following of dedicated regular clientele who love the idea of a having their own local refill shop. Inspire others! Don’t judge them.